Tis the season, eh! Already?! Seriously I swear it was JUST summer! But last night we had our first snow of the season! And you know what’s coming right? FOOD! Tis the season for sweets, treats and stuffing ourselves for the holidays! 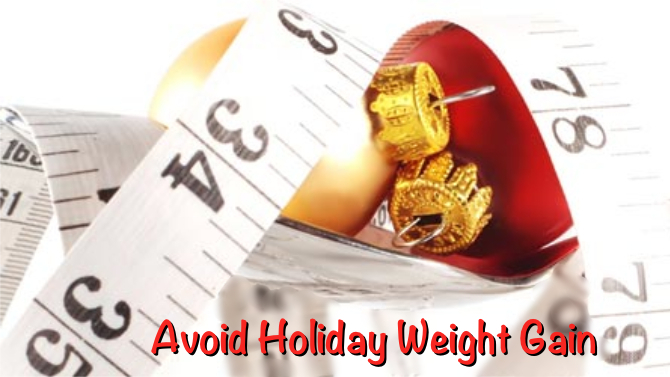 Most people will gain weight over the holidays, and what’s worse is that MOST of those people will never lose the weight they gained over the next 2 months. The pounds will just keep adding up. You can promise yourself that you’ll lose it after the New Year; that’s what resolutions are for, right? But most people don’t follow through with their resolutions, and those extra pounds will be yours to keep. Bummer right?! Well it doesn’t have to be that way. The best way to ensure that you don’t put extra weight on over the holidays is to get on track NOW and stay there! That doesn’t mean that you can’t enjoy the holidays and the occasional treats that come with them. But you don’t need to go on a 2 month, over-eating BENDER to enjoy yourself! The holidays can quickly turn into the season of regrets if you don’t make up your mind to do it differently this year. Make this a season of giving, and include yourself! Give yourself the gift of health and happiness; of satisfaction and pride! Invest in yourself, and make this a holiday season you’ll feel GREAT about! My next challenge group starts the Monday after Thanksgiving. We’ll be working out, focusing on good, clean nutrition and keeping each other accountable during this challenging time of year. And just in time for the holidays, Beachbody is giving back! When you purchase a Challenge Pack – a new fitness program PLUS Shakeology (at a discounted bundled price) – you will receive a $20 coupon! Additionally, Beachbody will make a $20 donation to Feeding America, a hunger-relief charity, on your behalf! Just $1 donated equals 9 meals for families, individuals and children who go hungry this time of year. So there you have it…win, win, WIN! You get $20, families in need get real help, and you get FIT and healthy for holidays! So, if you’re ready to start now, instead of waiting until you’ve put on even more unwanted pounds, then fill out this APPLICATION so that I can help you get started! Previous PostPrevious A Recipe for Making TIME! Next PostNext Your Pants Might Be On Fire!